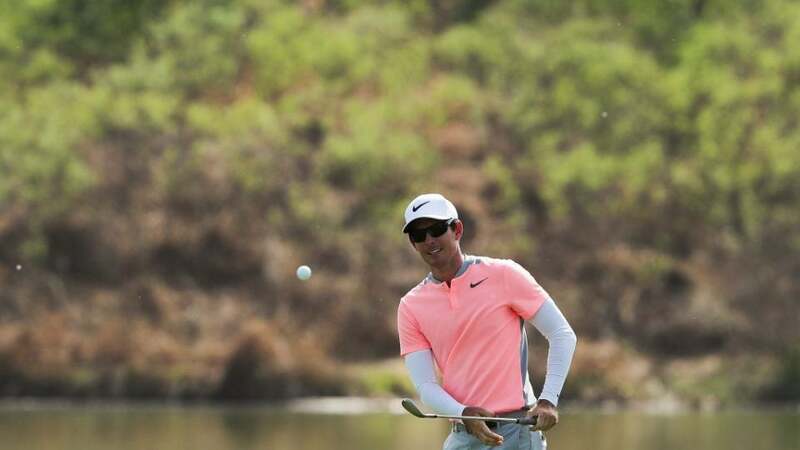 BEIJING (AP) -- Dylan Frittelli of South Africa moved three strokes clear of the China Open field after carding an 8-under-par 64 in the third round on Saturday. Frittelli birdied eight holes in a bogey-free round at the Topwin Golf and Country Club to get to 19 under. Pablo Larrazabal of Spain was his nearest challenger at 16 under after a 70. Frittelli birdied the 15th to go two shots in front. When he made par from the sand on the 16th and Larrazabal bogeyed, the lead turned into three. Both of them birdied their last hole. Alexander Levy of France, the 2014 champion, was third at 12 under after a 71. Frittelli, who is bidding for his first European Tour title, tied the course record of 63 on Friday, a day after Levy. Frittelli tied for fifth in Shenzhen last weekend. English golfer Chris Wood scored 65 with just a single bogey to get to 11 under, a shot clear of South Korea's Moon Kyong-jun and Austria's Bernd Wiesberger. Home favorites Li Haotong and Yi Cao were at 9 under alongside South African George Coetzee and South Korea's Lee Soo-min.